A plaid coat is a must-have in my opinion. It is one that will never go out of style and flattering on everyone. 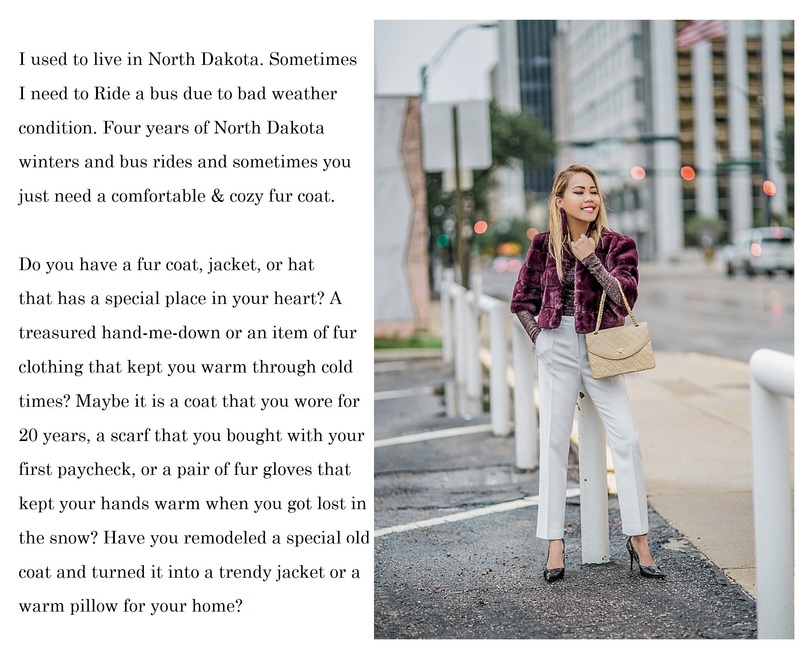 As well as it being totally timeless, plaid coats are seriously versatile and can be worn with everything; from jeans and a button on the weekend to tailoring in the work week. This one I am wearing from Antonio Melani is one of my favorites. It’s wool, and you can add a belt for a more fitted look if you like. Since the Fall has been unexpectedly cold lately, I paired it with my ankle boots (another timeless item) along with the classic Chanel handbag. SHOPBOP has awesome Fall collection checklist (HERE). The prices are incredible so it makes back-to-work shopping fit within the budget. Don’t miss all their neutrals for building a color palate. Raise the style-bar high with this incredibly luxe fur coat. It looks fabulous with anything from a burgundy turtle top to a pair of white trousers. This is a sponsored post brought to you by SHOPBOP. The opinions are completely my own based on my experience. Previous Post Instagram outfit roundup featuring a bunch of easy fall looks! Such great picks, especially loving all the faux fur coats! You look fabulous as always! I love coats, and I agree, plaid coats are a must haves! 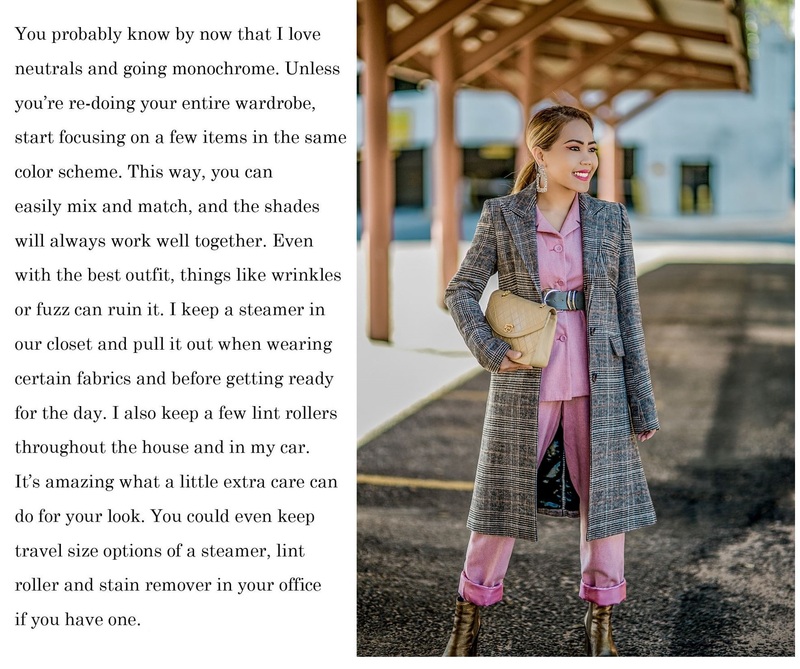 Such great style tips! 😍I agree that focusing on one color scheme will make pieces outfits easier to put together! The faux fur coat is so beautiful.Gorgeous. You look fabulous as always babe! That Chanel bag is honestly everything. Also there are so many fun colours of teddy jackets and I want them all!!!! Pink looks gorgeous on you. I love fur and that number is great! You look beautiful Len. Enjoy your week babe! I still need to shop this sale! Shopbop is my fave and they always have the best coats. Love all of these looks, girl!! These are stylish blazers and they look so well. The coats are beautiful Len and you look gorgeous hun! Love these looks and the items you’ve listed! Gorgeous!! Your fur coat is unreal! Yes to plaid coats Len. I’ve one and love wearing it. You look very chic. I love the amazing colors of the outfit! That is a beautiful plaid coat, Len! And the fur coat is gorgeous in that shade! Loving all the details of these 2 outfits! I seriously need a plaid coat! Love the one you have on. It’s still too warm here in LA though. I just adore your style love! Both of these looks are so impeccably chic. I want the plaid and faux fur coats. They are so stylish and can upgrade any look. You look stunning in all these outfits dear. My fave is the last one. I just love the luxurious color of the coat.